A private villa, nestled directly on the Sea of Abaco - here is the adventure you have been waiting for! Soak in the the pristine sands and crystal turquoise ocean! You will find our newly enlarged great room spacious and comfortable for listening to music from the xm radio, your ipod, or from our cd library. Step outside onto either of the three decks and let the cool ocean breeze take your cares away, or have a relaxing tropical drink under the cooling shade of the cabana. We have spotted dolphin and rays from the deck, as well as a night heron and other numerous birds. This unique spot nestled in the Casuarina pines for shade is literally 25-30 yards from feeling the cool water on your toes and the spray in your hair. Our Villa is uniquely and comfortably furnished both indoors and out. All linens, towels, and kitchen ware is provided (including a bread machine, cuisinart coffee machine, and coffee bean grinder). It is air conditioned and also has ceiling fans in each room. Located on the eastern side of Great Abaco Island, Treasure Cay is a quiet place to get away, and find adventure. The 3 1/2 mile horseshoe shaped beach that the Villa is located on was listed as One of the Top Ten Beaches in the World by National Geographic. Pick your adventure.....take a walk out the sandbar and find hoards of Sand dollars, Wade to Sunrise Cay (a tiny island off of the tip of Treasure Cay), Kayak in the emerald water, take an Island hopping trip to the out islands....or simply prop your feet up and pull out that book. Hello, we are Brent & Alisa Bigham. We live in the mountains of Georgia, USA. We have three children. Emily, the oldest, lives with her husband & our first grandchild, Jane, in Chattanooga, TN. Our second child, Seth, lives in Chattanooga also. Our youngest son, Sam(16) is still at home with us. We bought the Villa in 2000 because since the early 80s when we first visited, we had been dreaming about owning a place for our family to gather and make memories. We hope you are able to reconnect & make adventures with your family & friends while you stay in beautiful Treasure Cay. We began visiting Abaco in the early 80's and simply fell in love. We always dreamed of owning our own property there, which became a reality in 2000. One our favorite Beach Villa came up for sale, directly on the beach. We bought it and have since enjoyed the get away of our dreams. We love the community of Treasure Cay; it still carries the traits of another time and age. Close community, quiet beaches, and friendly folk fill the Islands. You can also live a world of adventure: scuba diving, boating, sailing, exploring. Our property is directly on the beach; thus, sometimes the most needed adventure is simply a good book on the deck. 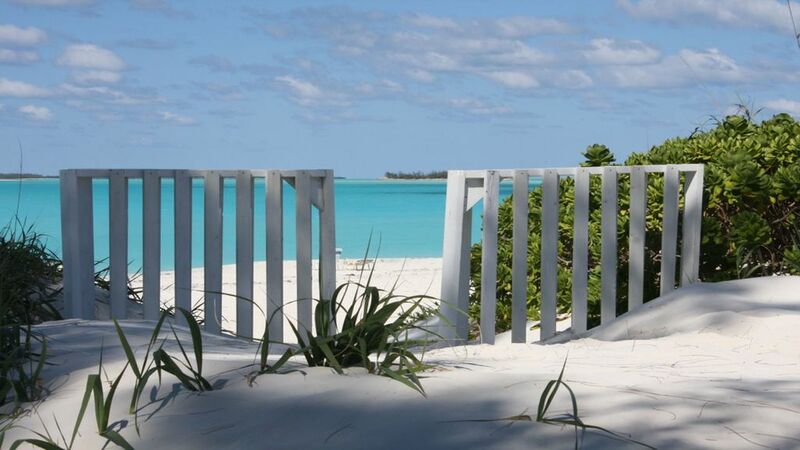 Beach Villa 591 is located directly on the Treasure Cay beach on the beautiful Abaco island. Sit on the deck and watch the waves lap at the shifting sand. perfection. two bicycles with baskets are included with your rental. You just can't beat this location if your goal is to enjoy a truly beautiful beach. It's the closest I've stayed to the ocean, other than in an over water bungalow. As a bonus, it's right by the pool as well. Super quiet and truly relaxing. Accommodations had everything we needed, and was comfortable and clean. We would certainly return! Thank you kindly for your sharing of your experience on our wonderful island and in our home. Island life is certainly a pleasure for both us and our guest. Being close enough to get into the rhythm of the sea is our objective. I do hope you can be returning guest to our spot by the sea.